Currently, I offer 13 illustrated talks, descriptions of which appear below. Most take 45 minutes, although, at the request of the organiser, I can stretch them to an hour to include more detail, or contract them to about 30 minutes to fit a shorter time slot. I am always happy to take questions afterwards. My only practical requirements are a screen or handy wall on which to project the illustrations, and a table to hold my laptop and projector. Although public speaking is a hobby, I usually negotiate a fee to cover expenses - which I'm happy to go to charity - currently, the South Wales Air Ambulance - if organisations prefer. In the end, I just enjoy doing the talks. To date, I have given most of my talks in South Wales, in the area between Swansea and Chepstow, but I have ventured across the Severn to present at the Thornbury Arts Festival, at Chipping Sodbury, MOD Corsham, near Bath; and once, for a corporate event, I risked travelling to London. I am now running up towards my 200th talk, and the feedback has been universally positive, as witnessed by the fact that several organisations invite me back every year. 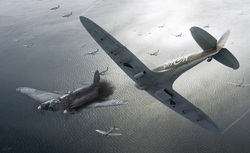 An illustrated talk stemming from my longstanding interest in the Battle of Britain. I cover the history, the personalities, the equipment and the course of the Battle, aiming to bring out the drama of an amazing period in the history of these Islands and the Royal Air Force. 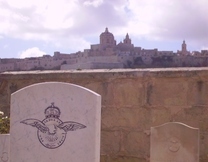 When I was researching Wings Over Summer, I was amazed to discover how many Battle of Britain pilots went on to fly over Malta, the tiny island in the Mediterranean, which was the most heavily bombed place on Earth. 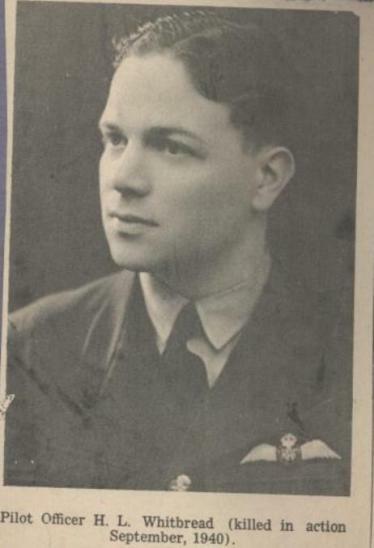 That led to the writing of my second aviation novel, Wings Over Malta, during the course of which I became fascinated with the whole story of the Island's battle for survival between June 1940 and late 1942. This illustrated talk brings out the drama of that 2 year period. This talk follows my life from childhood in the Shropshire town of Ludlow to the end of my first ten years in the RAF, including incidents from my three years as an engineering apprentice - a Trenchard Brat; my time as an airframe and propulsion fitter on Vulcan bombers; through the rigours of officer and flying training; and on to 3 years as a Hercules pilot, flying the world, including the South Atlantic during and after the Falklands War. In this talk, I cover my time as a flying instructor on the University of London Air Squadron, as an instructor of instructors at the RAF Central Flying School at RAF Scampton; promotion to a post with responsibility for the RAF’s light aircraft and gliders at Headquarters RAF Support Command, RAF Brampton (during which I called in the flypast for the Queen Mother’s 90th Birthday parade); command of the University of Wales Air Squadron at RAF St Athan; a 10-month post-graduate course at the RAF Staff College, Bracknell; and a year in the Ministry of Defence, organizing and reporting on talks with 18 countries, including Russia, Romania, Belarus Israel and Japan. This talk covers my last 10 years of service, from an appointment that began and ended in Buckingham Palace; through 2 years managing the careers of 2,600 junior RAF officers, including all the pilots; to commanding a detachment in Southern Italy from where Harriers and Canberras flew operations over the Balkans; back to the MOD to take responsibility for our military relations with China, Japan, Korea, The Philippines, Thailand and Vietnam; promotion to the rank of group captain to select all new officers and NCO Aircrew for the RAF; and, finally, before retirement to Barry Island, command of the first stage of flying training for the Navy, Army and RAF. 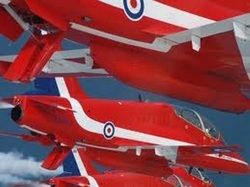 During this talk, I also describe a flight with the Red Arrows. As the title suggests, this talk plucks the highlights from the other three talks on my 32 years in the RAF; including working on Vulcan bombers; flying Hercules transport aircraft during and after the Falklands War; instructing hundreds of university students to fly the Bulldog, and tens of pilots to become instructors; calling in the flypast for the Queen Mother's 90th birthday celebrations; organising talks with 18 foreign MODs, both at home and overseas; managing the careers of 2,600 junior RAF officers; running a Harrier detachment in Italy; looking after our day to day military relations with China, Japan, Korea, The Philippines, Thailand and Vietnam; selecting RAF officers and aircrew, and having a flight with the Red Arrows; running the first stage of flying training for the RN, Army and RAF; and retiring to Barry Island. During and after the Falklands War in 1982, I visited Ascension Island, a tiny volcanic speck in the South Atlantic between Africa and South America, 17 times. 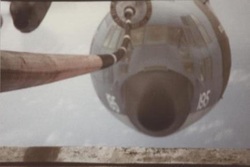 At that time it was the staging post for personnel and supplies travelling to the Falklands by air, and the base for the Black Buck raids on the Falklands by Vulcan bombers. It was an exciting time to visit the Island, and the flying over the South Atlantic could also be very exciting. Thirty two years later, I visited with my wife and we had a magical ten days. This illustrated talk is about the geology, wildlife and history of the Island, the operations mounted from there during and after the Falklands War, and the highlights of my 18 visits. An illustrated talk on an event that has been the subject of numerous films, books and poems. 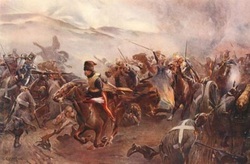 The Charge was the climax of the Battle of Balaclava, which took place in 1854, during the Crimean War. It brims with examples of high drama and courage, but also of staggering arrogance and incompetence. Ultimately though, it is a cracking good story. Because the story of the Charge contains so many examples of leadership (mainly of the poor variety), I believe it holds many lessons for leaders in any walk of life, and could benefit a corporate audience. An illustrated talk inspired by a tour of Egypt undertaken three weeks after the overthrow of President Mubarak. 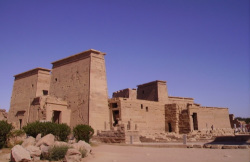 It was an extraordinary time to visit both modern Egypt, and its ancient sites and monuments. At the outset, there were no police on the streets, only tanks. And throughout, there were hardly any tourists, even at the most popular sites, such as the Giza Pyramids, Karnak and Abu Simbel. 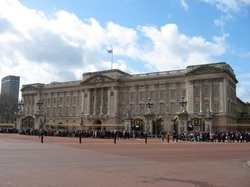 Because of this, my pictures are of the sites themselves, not of tourists looking at them. An illustrated talk on an expedition to improve the survival rate of patients in critical care by researching the effect of low oxygen levels on the human body. I tell the story of my own trek to Everest Base Camp, undergoing four hours of medical testing at each of five locations, and of the 10 doctors and 15 Sherpas who set up the highest laboratory in the world and reached the summit of Everest. (Featured in the BBC documentaries – Doctors in the Death Zone.) After raising over £3,000 for Ty Hafan, proceeds now go to the South Wales Air Ambulance. An article about the science can be read here or on my Short Story page. This illustrated talk is aimed at the corporate audience and seeks to give leaders (managers) and potential leaders practical insights that will be of use from the moment they leave the presentation. Using examples from my own career, I give tips on coping with the everyday demands and pitfalls of leadership and personnel management, and on dealing with the aftermath of more extraordinary and traumatic events, such as fires and accidents. Although this talk has so far only been used as a library and book festival event, it could be adapted to suit any venue. The talk begins with a short illustrated presentation, outlining how my experiences and, more importantly, those of some of the pilots of the Battle of Britain, influenced Wings Over Summer. This is followed by some readings from the book and a discussion of how I came to write and publish it.